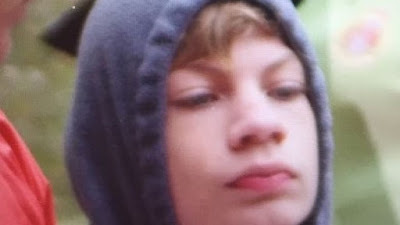 A child that has been identified of being around the age of twelve has been reported missing in the Debert, N.S. (Nova Scotia) area. The RCMP (Royal Canadian Mounted Police) are searching for the child. Search and Rescue teams are looking for the child. The boy's name is Brett Kitchin and he was last seen wearing a grey hoodie and pants. He has light brown hair and blue eyes. Brett weighs around eighty pounds. He was last seen taking part in an orienteering competition at 3:00 P.M by Lysander Ave. That was on Saturday. Cpl. Jennifer Clarke with the RCMP said: "Because while we do appreciate the help, it's become difficult to manage with the number of people that are showing up wanting to help." professionals for the time being. The police and rescue teams are searching tirelessly for the child. The total size of the search area has not been released. Anyone with information on where Brett Kitchin is currently located is being asked to contact the RCMP or Crime Stoppers. 1-800-222-TIPS (8477) or text TIP202 + your message to 'CRIMES' (274637).